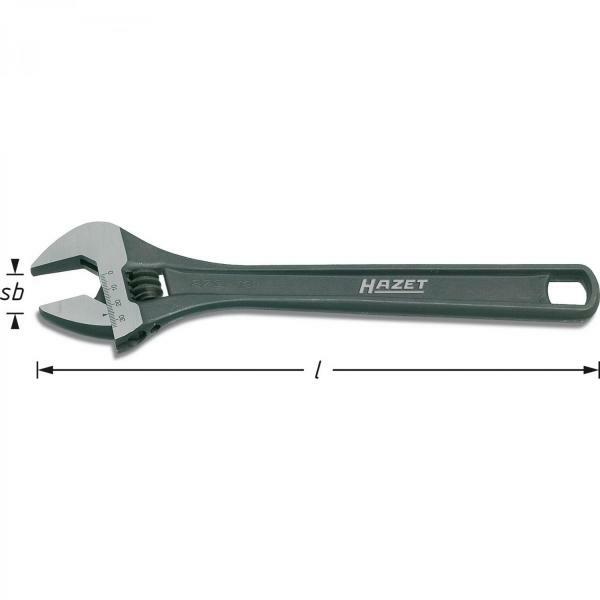 This Hazet adjustable wrench or spanner is one of the long time tool classics. In the USA these wrenches are casually referred to as crescent wrenches. In Australia, adjustable spanners are also referred to as "shifters". This version is very precise, the surface is phospahted for rust protection, the adjustable head is highly polished for better legibility of the engraved scale.